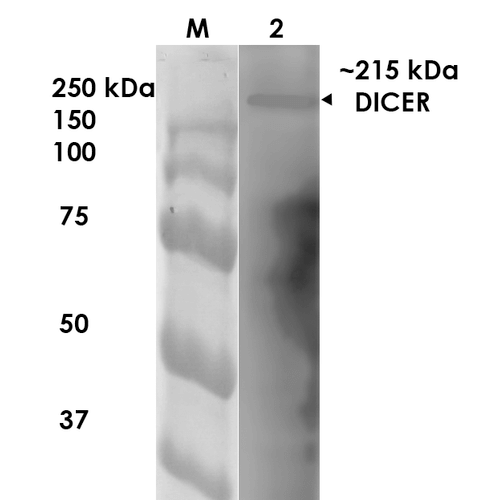 Antibody's dilutions WB (1:1000), ICC/IF (1:100); optimal dilutions for assays should be determined by the user. 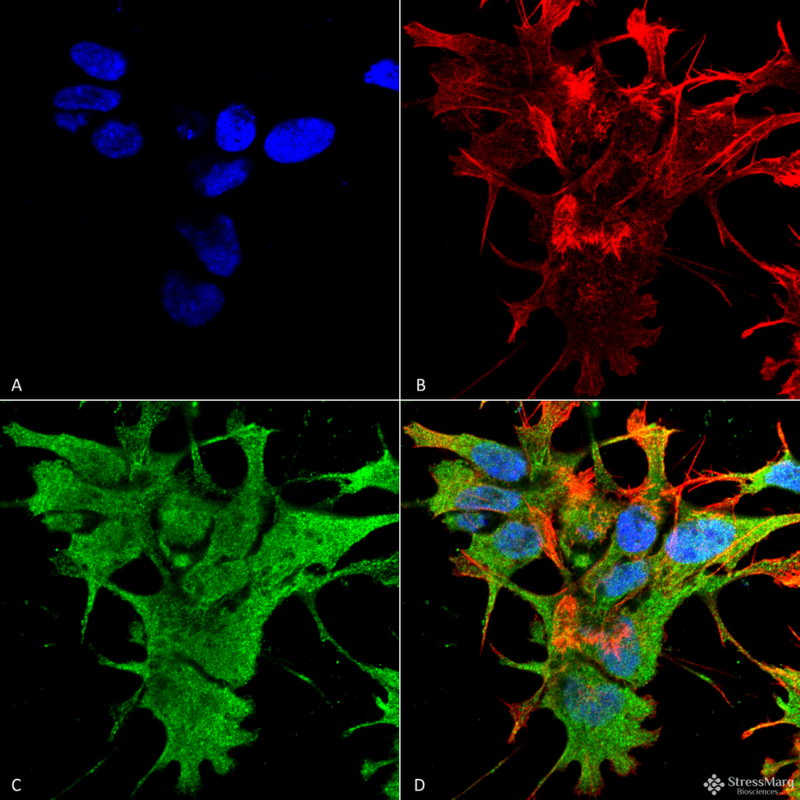 Antibody certificate of analysis 1 µg/ml of SMC-416 was sufficient for detection of Dicer in 20 µg of rat brain lysate by colorimetric immunoblot analysis using Goat anti-mouse IgG:HRP as the secondary antibody. Bibliography 1. Hutvágner G. and Zamore P.D. (2002) Science 297: 2056-60. 2. Lee Y., et al. (2003) Nature 425: 415-9. 3. Diederichs S. and Haber, D.A. (2007) Cell 131: 1097-108.